GOT PLAYING CARDS #2 ALL MEN..
Collectors Dreams Cards & Collectibles Inc.
Konami Digital Entertainment has shared information on two spring products for its Yu-Gi-Oh! Trading Card Game: Structure Deck: Order of the Spellcasters and the Dark Neostorm Booster. Releasing on April 19, Structure Deck: Order of the Spellcasters invites magical masters to transcend the need for a physical form and become the Spells themselves. Previous Pendulum Monsters could be played either as Monsters or as Spell Cards, with that choice locked in for the rest of the game. These new Pendulum Monsters have effects to Summon themselves from the player’s Pendulum Zones. The 42 card deck includes 41 Main Deck cards, and 1 Extra Deck monster. It contains 37 Commons, 3 Super Rares, and 2 Ultra Rares, as well as a beginner’s guide and a double-sided Deluxe Game Mat/Dueling Guide. The Yu-Gi-Oh! 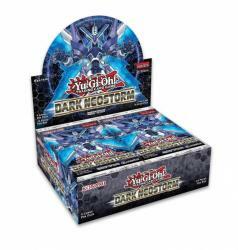 Dark Neostorm Booster Set releases on May 3, and is the last 100-card set of the 2018 -2019 Dueling season. Like the other core booster sets this season, this booster highlights a Special Summoning mechanic from previous eras, and in this case, it’s Xyz Summoning. The Super Quantum mecha pilots, World Chalice, Krawler, Mekk-Knight, Crusadia, Orcust, and Guardragon all make appearances in this booster, along with a new Knightmare that can clear the field of all Link Monsters. It will also include a variety of cards for many strategies and situations. The set includes 48 Commons, 20 Rares, 14 Super Rares, 10 Ultra Rares, and 8 Secret Rares.